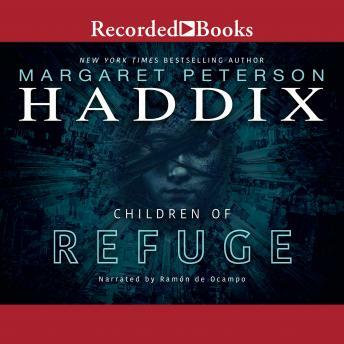 After Edwy is smuggled off to Refuge City to stay with his brother and sister, Rosi, Bobo, and Cana are stuck alone-and in danger-in Cursed Town in the thrilling follow-up to Children of Exile from New York Times bestselling author, Margaret Peterson Haddix. It's been barely a day since Edwy left Fredtown to be with his parents and, already, he is being sent away. He's smuggled off to boarding school in Refuge City, where he will be with his brother and sister, who don't even like him very much. The boarding school is nothing like the school that he knew, there's no one around looking up to him now, and he's still not allowed to ask questions! Alone and confused, Edwy seeks out other children brought back from Fredtown and soon discovers that Rosi and the others-still stuck in the Cursed Town-might be in danger. Can Edwy find his way back to his friends before it's too late?